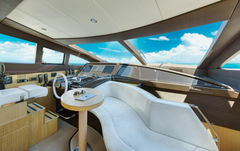 Riva Venere 75 in Ibiza. 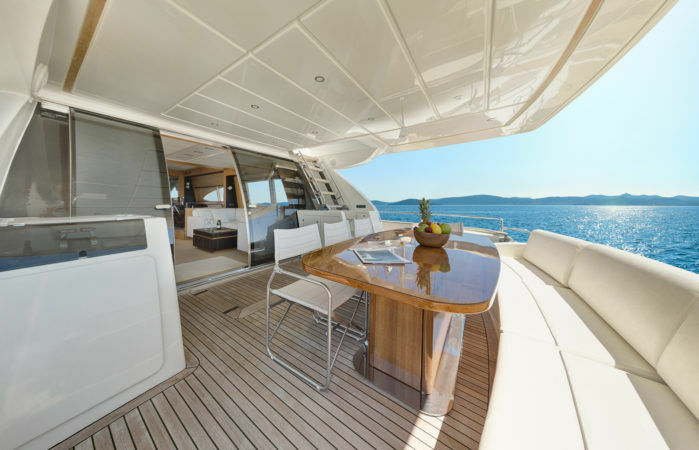 THE perfect yacht to enjoy the holidays in Ibiza with its 4 cabins, the Master-cab, the double VIP cabin and two twin cabins, all with en-suite bathrooms offer accommodation for 8 guests during the night and 12 day guests with a crew composed of skipper and sailor / cook. 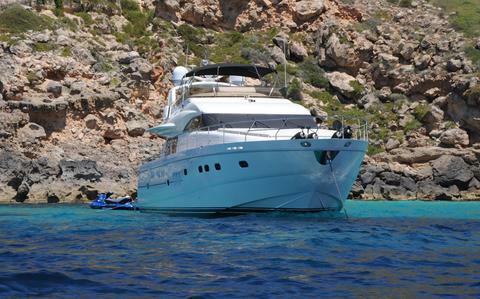 Sport yacht available for charter in Ibiza. She has large and espacious solariums to enjoy Ibiza sun and landscapes. 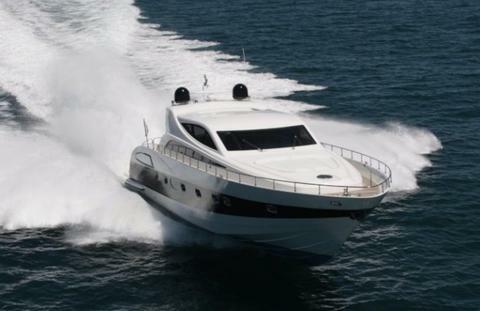 Live and love the island with your best guests in this exclusive yacht with two people in crew. 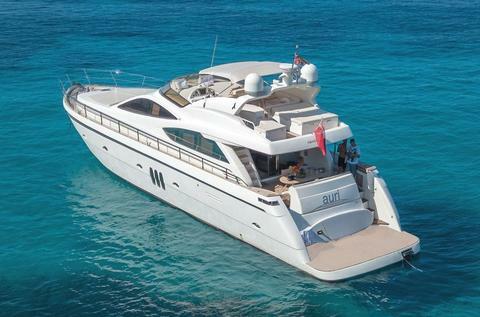 Great Azimut 68S for rent available in Ibiza. 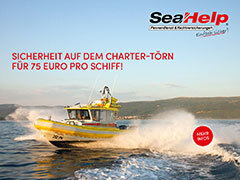 Enjoy Balearics Islands with this sport motoryacht and have fun with sea toys included. Day cruising capacity for 10 guests. 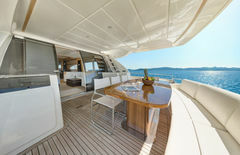 Accommodates 6 in three cabins with en-suite. VAT INCLUDED IN PRICE!! !